Ketoconazole, an anti-fungal medication, can also be effective in stimulating new hair growth if you suffer from androgenetic alopecia. 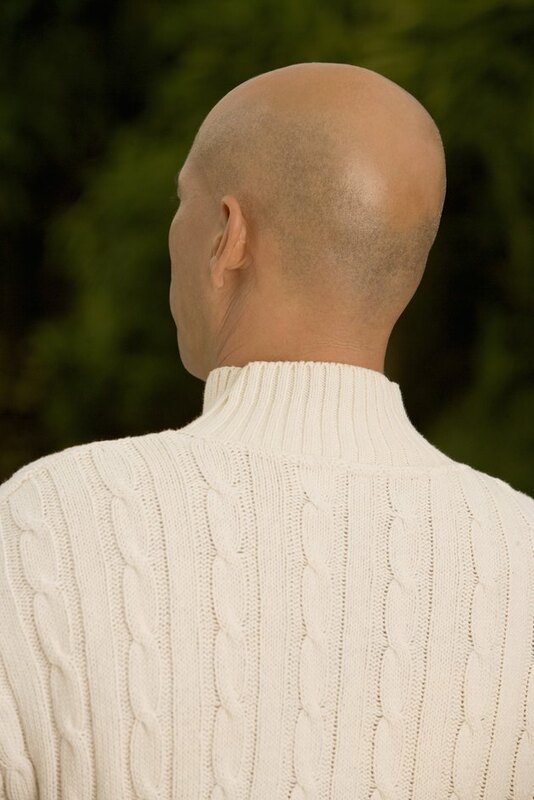 Androgenetic alopecia, also called male and female pattern baldness, is a frequent cause of hair loss in both men and women, although it is more common in men, according to the Genetics Home Reference website. Androgenetic alopecia causes hair loss at the crown of the head in men and thinning hair over the entire scalp in women. Hair loss occurs due to an imbalance of dihydrotestosterone, a derivative of the male hormone testosterone. While testosterone is a hormone associated with men, women also have low levels of testosterone in their bodies. Dihydrotestosterone binds to receptors in scalp follicles, shrinking follicles and making it impossible for healthy hair to survive, according to the American Hair Loss Association. Follicles are the small openings in the skin that produce hair. Ketoconazole is available in tablet form to treat fungal infections of the urinary tract, skin or mouth and is also available as a shampoo to treat fungal infections and other conditions of the scalp. One percent ketoconazole shampoo is available over-the-counter, while the stronger 2 percent shampoo requires a prescription. The American Hair Loss Association reports that the 1 percent version may not be as effective as the 2 percent prescription-strength shampoo. In addition to killing fungi, ketoconazole is also helpful in countering the effects of dihydrotestosterone in people who have androgenetic alopecia. A study by J. Jiang and published in the April 2005 edition of the "Journal of Dermatology" found that topical application of 2 percent ketoconazole shampoo in mice stimulated hair growth. Use ketoconazole shampoo at the dosage prescribed by your doctor. The shampoo should remain on your head for five minutes before rinsing, according to Drugs.com. For best results, use the shampoo regularly and avoid skipping dosages. You may notice an itching or stinging sensation when you first use ketoconazole shampoo. If these side effects continue, inform your doctor. Drugs.com reports that some ketoconazole products contain sulfites, which may cause allergic reactions, particularly in asthma patients. If you notice blistering, peeling or burning skin or experience trouble breathing, hives, a rash, a tight feeling in the chest or swelling of your tongue, mouth or lips, seek medical treatment immediately. If you are pregnant or nursing a child, ask your doctor if ketoconazole shampoo is safe to use before you begin treatment. Are There Any Side Effects of Using Rogaine for Hair Growth?